Lola’s cupcakes had a grand opening in the last week of December in Dubai mall. Unfortunately, I had to miss it as I was traveling. So they invited me to visit them after I got back. 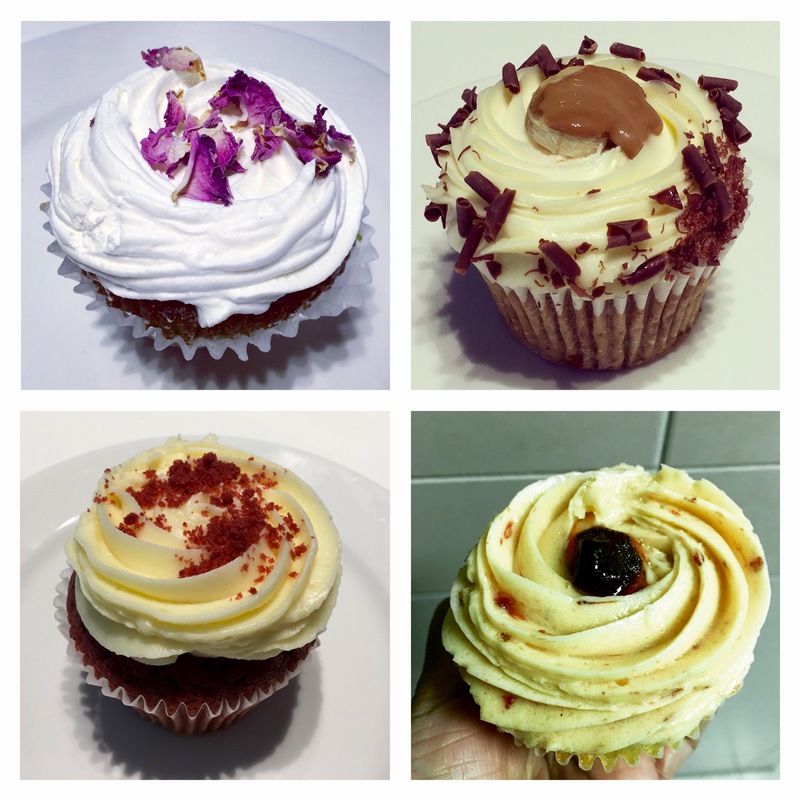 Lola’s cupcakes is a London bakery, they are known for their handcrafted cupcakes and cakes. Every day they bake over thirty delicious flavors and each cupcake tastes just as terrific as it looks. They also offer exquisite cakes, cheesecakes, brownies, Lola’s cupcake milkshakes and beverages like coffee,tea,fresh juices and soft drinks. Lola’s also has a small kiosk near Reel Cinemas in Dubai Mall. This branch of Lola’s is on the 1st floor near to Bloomingdales in Dubai Mall. It is a pretty little cafe. The decor is elegant, it is done up in blue and white colors. The seating is comfortable. From the menu to the cutlery- everything is done up tastefully. It is a place you can go anytime of the day. It is a place to indulge in delicious cupcakes and cakes. They offer three kinds of cupcakes- tiny cupcakes, regular cupcakes and themed cupcakes. They also serve “Free from range cupcakes ” like Flourless Chocolate Cupcake,Sugarfree Raspberry and Chocolate Cupcake, Wheatfree Red Velvet Cupcake ,Vegan Coconut Strawberry Cupcake and Vegan Coconut Passion Fruit Cupcake. Lola’s also makes amazing theme cakes and cupcakes for every special occasion. Be it a birthday, wedding, anniversary or christening. It is a great idea to gift a box of these gorgeous cupcakes to friends and family. Their cupcakes are made by dedicated team of bakers and decorators by using the finest ingredients. All the cupcakes are handcrafted and freshly baked daily. I tried seven different cupcakes and each of them was delicious and unique in its own way. One of the most exotic cupcake that I tried in Lola’s was the Rahash Cupcake. It is an Arabian inspired cupcake. This ravishing cupcake was made with Rahash and pistachio and then topped with cream and rose petals. One of the must-try cupcakes. It is not too sweet and it tastes as exotic as it looks. Banoffee cupcake- I have always had Banoffee cake or a pie. At Lola’s I tried the Banoffee cupcake for the very first time. This golden caramel colored Banoffee cupcake tasted fantastic. Red Velvet cupcake- I am not a fan of Red velvet cake and cupcake. My daughter loved the cupcake. This popular offering in bakeries all over the world is Lola’s signature cupcake. I also tried four of their cupcakes at home. All of them were good. But I especially loved the Hazelnut & Pistachio and Blueberry Cupcakes. All their cupcakes were moist, rich and creamy. They all looked so pretty, I felt like having all of them. 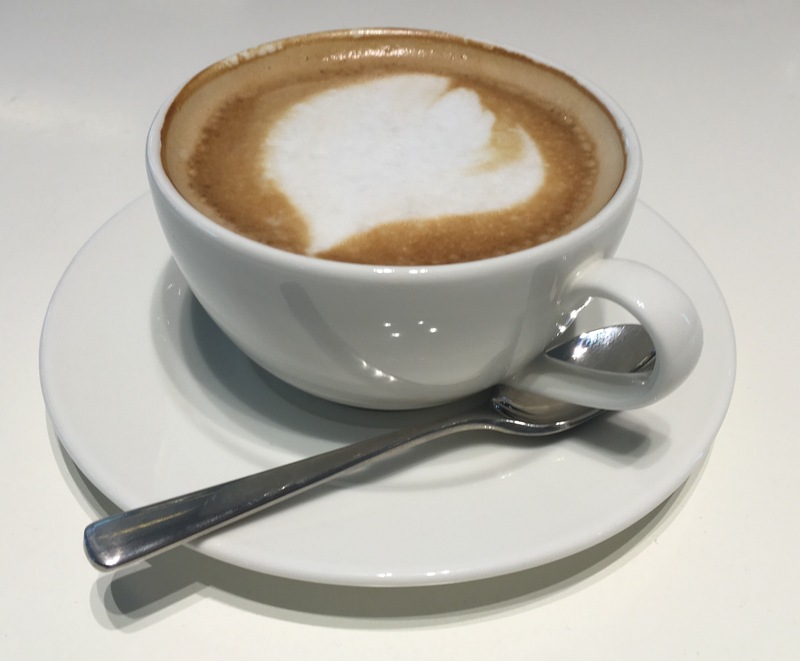 I also had a perfectly brewed Cappuccino. They also offer wide range of choices for coffee. Tea lovers will not be disappointed either. They offer a limited but good choice of tea. The service and staff are friendly and helpful. The prices are reasonable. 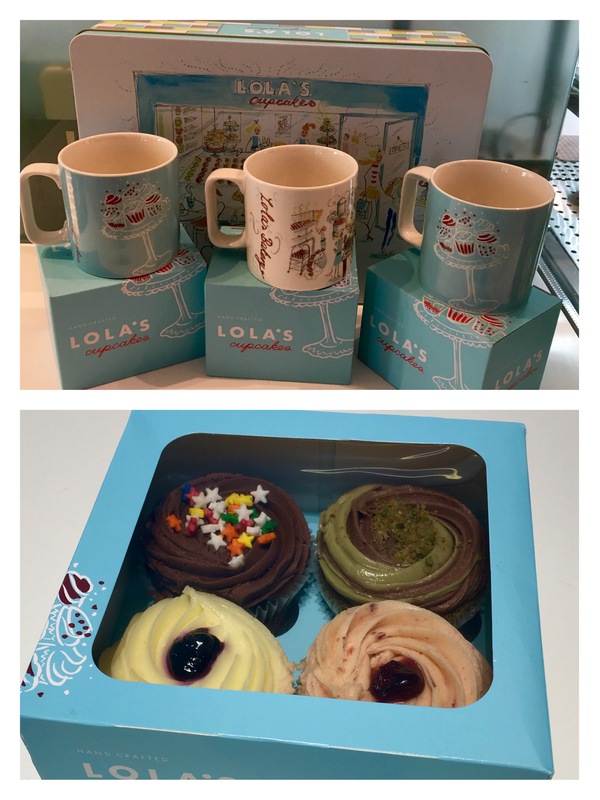 Lola’s cupcakes has all our sugar cravings covered. A definite must-visit place for all cupcake lovers.